Paul Newman, who has recently appeared gaunt in photos and dropped plans direct a play in his Connecticut hometown, is battling cancer, his longtime neighbor and business partner said Wednesday. Writer A.E. Hotchner, who partnered with Newman to start Newman's Own salad dressing company in the 1980s, said the legendary actor told him about the disease about 18 months ago. He doesn't say what kind of cancer, but said Newman's in active treatment. "I know that it's a form of cancer," Hotchner told The Associated Press exclusively. "It's a form of cancer and he's dealing with it." Newman issued a statement late Tuesday that he's "doing nicely" but didn't specifically address questions about cancer. A call was placed to his spokesman Wednesday seeking comment. He won an Oscar for his leading role in 1986's "The Color of Money." His screen credits also include "Hud," "Cool Hand Luke," "The Verdict" and "Road to Perdition." Hotchner said Newman had an operation a few years ago. "It was certainly somewhere in the area of the lung," he said. "He's battling," Hotchner said. "He's doing all the right stuff. Paul is a fighter. He seems to be going through a good period right now." Asked about his prognosis, Hotchner said, "Everybody is hopeful. That's all we know." In 1982, Hotchner and Newman started a company to market Newman's original oil-and-vinegar dressing. Newman's Own, which began as a joke, grew into a multimillion-dollar business selling popcorn, salad dressing, spaghetti sauce and other foods. All of the company's profits are donated to charities. By 2007, the company had donated more than $175 million, according to its Web site. Last month, officials at Connecticut's Westport Country Playhouse cited unspecified health issues when they announced that the screen legend would not direct "Of Mice and Men" this fall. Two friends said Tuesday that Newman appeared to be doing well. "I think he's feeling quite well," said actor James Naughton, who spoke to Newman on Monday night. "As far as I can tell he's doing very well." Newman had an infection over the winter, but seems to have that under control, Naughton said. He was lively at this month's Hole in the Wall Gang camp fundraiser, he said. Michael Brockman, Newman's racing team partner, said Newman told him recently that he wants to get back into his race car for a test run and possibly another competition. His last race was last fall, he said. "I think he's doing better than he was," Brockman said, noting that Newman had regained most of the weight he had lost. "I think he looks great," said Brockman, who saw Newman last weekend. "I wish I looked that good." Brockman called Newman "one of the best guys I ever met." "He's just a regular guy," Brockman said. "He's humble." 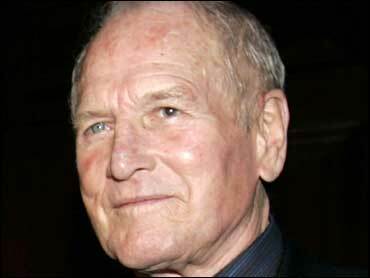 Newman lives in Westport with his wife, Joanne Woodward.